1. Light is the single most important environmental factor affecting your ability to sleep. It’s tough to overstate the importance of your bedroom environment to the quality of your sleep. Ideally, you want your bedroom to be a sanctuary for sound, restful, restorative sleep. All too often bedrooms are cluttered, noisy, and bright — environments that actually fight against good sleep. Sleep is a sensory experience. To create an ideal sleep environment, you need to pay attention to all five of the senses: sight, sound, touch, smell, and taste. Light is the single most important environmental factor affecting your ability to sleep. Through your sense of sight, the brain takes in information about the light in your environment. That information helps to regulate your body’s sleep-wake cycle and influences the release of hormones, including the “sleep hormone” melatonin. When your environment is bright, melatonin levels stay low, and you stay more wakeful and alert instead of sleepy. A dark bedroom is best for sleep. Darkness triggers the brain to slow down and stimulates the production of melatonin, what I call the key that starts the engine for sleep. In today’s world, there can be many challenges to keeping a bedroom dark, from TV screens to outside streetlamps to way-too-bright room lighting. Here’s how to bring your bedroom the darkness it needs for sleep. Use peaceful colors. Bedroom walls are best painted with flat finish paint. Keep your color scheme simple and use colors that feel tranquil to you. Keep in mind that bright colors can be stimulating and may affect your sleep and your dreams even if you’re not consciously aware of their effect. Low light bedrooms. Use dimmer switches on the lighting in your bedrooms, especially for overhead track or recess lighting. Wherever possible in the bedroom, use low-wattage, non-halogen, natural-light, 45-watt bulbs. Whatever combination of lighting sources you use, an hour before bedtime, dim the lights to less than 200 watts — that’s a total from all light sources. I personally use special bulbs that filter out the light that can disrupt melatonin production. Install nightlights. When you need to get up in the middle of the night, avoid turning on any room lights. No matter the time on the clock, your brain will think daytime has arrived. Instead, set up nightlights in the hallways and bathrooms. Consider motion-sensor nightlights that will remain unlit unless you’re actually up and about, as well as nightlights that filter out the most disruptive types of light wavelengths. Block outside light. Don’t forget about light coming in through your bedroom windows. Use a sleep mask to block unwanted light coming from outside. Sleep masks are also helpful if you have a partner who likes to stay up reading in bed after you’re ready for sleep. Consider installing blackout curtains, which can block up to 90–100 percent of outside light from filtering into your bedroom. Make sure the curtains cover the entire window, and use clips to hold the panels together in the center. 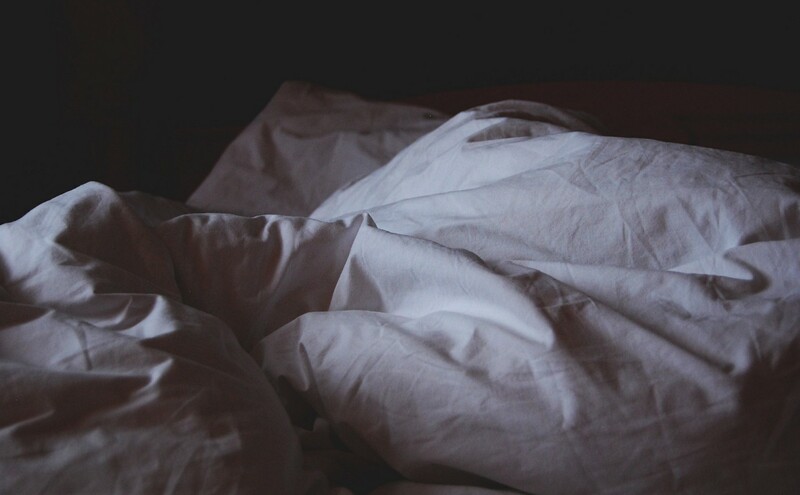 Even a small sliver of light shining through can interfere with your sleep. Limit screen light. Televisions and other digital screens can bring a lot of unwanted light to the bedroom. Light from digital screens contains high concentrations of blue-wavelength light. Scientists have pinpointed blue light as especially detrimental to sleep. Blue light is particularly effective at suppressing the production of melatonin, a hormone that helps make you sleepy. I use special blue-light blocking glasses that I find highly effective. Ideally, you’d have no screens at all in the bedroom. If you’re really attached to falling asleep with the TV on, set a timer so the television turns off around the time you typically fall asleep. Charge your phone and tablets in another room, away from your bedside table. If you read with a digital device before bed, use blue-light-blocking filters to limit your exposure in the evening. Did you know that your brain processes sounds even while you’re asleep? That’s why parents wake so quickly when their baby cries, or your partner’s snoring sometimes leaves you tossing and turning. Our relationship to nighttime sounds can be complicated. Some sounds are disruptive, while others can be comforting and sleep-inducing. The quieter your bedroom is, the more sensitive your hearing will become. Sometimes a too-quiet bedroom can pose problems for sleep, just as a noisy one can. The key is to focus on eliminating, reducing, and blocking the noises in your bedroom that are disruptive to your sleep. Use earplugs. There are different types of earplugs, including foam, silicone, and flanged. It’s important to wear earplugs that are comfortable, so try different types until you find the best fit for you. Choose earplugs with a noise reduction rating of 32 decibels. This will block roughly one-third of the environmental noise, but allow you to hear important sounds such as a baby crying or a smoke alarm ringing. Try a sound machine. Sound machines help many people fall asleep more quickly and sleep through noises that might otherwise awaken them. Often, people find these sounds relating and soothing. There are several options available, including white noise, natural sounds such as waterfalls, thunder, or rustling leaves, and meditative music or chanting. Pick the right alarm. Most people need some prompting to wake in the morning. If you rely on an alarm, consider moving beyond the blaring beep of an old-school alarm clock. There are innumerable options for alarm sounds, so find one that suits you. You can also opt to be awakened with light cues or vibrations. Look for the alarm that delivers to you the most effective, least jarring wake-up. Don’t forget to include your partner in the selection. Materials. Use natural, breathable fibers such as wool, down, cotton, linen, and silk. Avoid synthetics such as polyester, which don’t breathe well and tend to trap heat and moisture. Care. You want to be able to wash your bedding regularly, not only the sheets but also your comforter, quilt, or duvet. Size and fit. Make sure sheets, pillowcases and other bedding fit properly. Feel. The feel of your bedding is important. You’ll spend as much time or more with these materials against your skin as your clothing. Higher thread count sheets will be softer and will last longer. Select fabrics that feel good to you, and will allow you to maintain a comfortable temperature throughout the night. Think smell doesn’t have an impact on your sleep? Think again. Smell is one of our most potent senses, tied directly to the brain’s limbic system, which governs many powerful impulses and drives, including emotions, memory, sexual response, and hunger. Scents can stimulate alertness. They also can calm, soothe, and relax. Introducing the right scents can enhance a sleep friendly environment. What’s more, protecting the air-quality of your home and bedroom can reduce irritants that pose obstacles to sleep. Open the windows. This is the simplest way to introduce fresh air and clear out pollutants and irritants that have collected inside your home. If possible, open the windows at least once a week to freshen the air. If open-airing isn’t possible, consider using an air filter or air purifier instead. Use an air filter. Clean air removes irritants and pollutants such as dust, pet dander, and smoke and gas from heat sources. Clean, filtered air allows you to breathe more easily, both awake and asleep. Better air quality also cuts down on the risks of allergy flare-ups and respiratory illness, both of which can interfere with sleep. Regulate humidity. The level of moisture in the air also affects breathing and your ability to sleep. If your bedroom is too dry, consider running a humidifier. Or use a de-humidifier if your sleep environment is heavy with moisture in the air. Try aromatherapy. Exposure to soothing, relaxing scents can help you unwind and prepare for sleep. Some scents are especially conducive to sleep. Scientific research has demonstrated that lavender has powerful relaxation properties and reduce morning sleepiness. Chamomile is another scent that is relaxing and can be sleep-promoting. Minty scents tend to stimulate alertness, and aren’t suited for a sleep-promoting bedroom environment. Aromatherapy comes in a range of forms, including massage and bath oils, pillow and linen sprays, sachets, and diffusers. The timing, quantity, and types of foods you eat can have a significant impact on how you sleep. This relationship between diet and sleep is a subject for a whole other post! But here’s the skinny. Eating the right foods (think high fiber, high protein whole foods) can help you fall asleep more easily and sleep better throughout the night. Eating the wrong foods (think processed, high fat and high sugar foods) can interfere with a good night’s sleep. So can eating too much at one sitting, and eating too late in the evening. It is also important not to go to bed hungry. If you’re hungry at bedtime, you will have a harder time falling asleep, thanks to the stimulating effects of the hormone cortisol that your body will release. You’re better off having a small snack. Shoot for a snack that is no more than 200 calories, consumed sometime within 90 minutes to an hour before bedtime. Combine a small amount of protein (peanut butter, cheese, or soy products are good choices) with a complex carbohydrate (such as whole grain bread, fruit, or oatmeal). If you pay attention to all of your senses, you can craft a sleep environment that is relaxing, inviting, and best of all, sleep friendly. Originally published at www.thesleepdoctor.com on March 14, 2017.